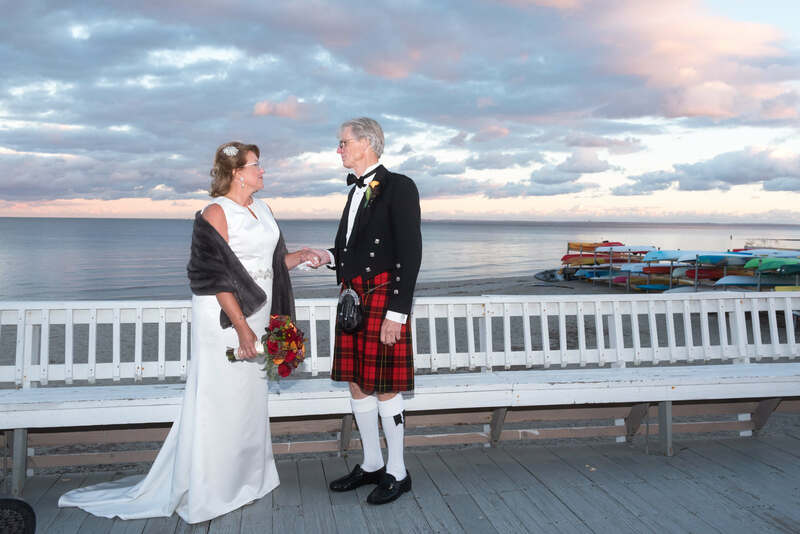 Suzette & Tom had a beautiful evening ceremony at the Jacky Durrell Pavilion on Fairfield Beach in mid-October. 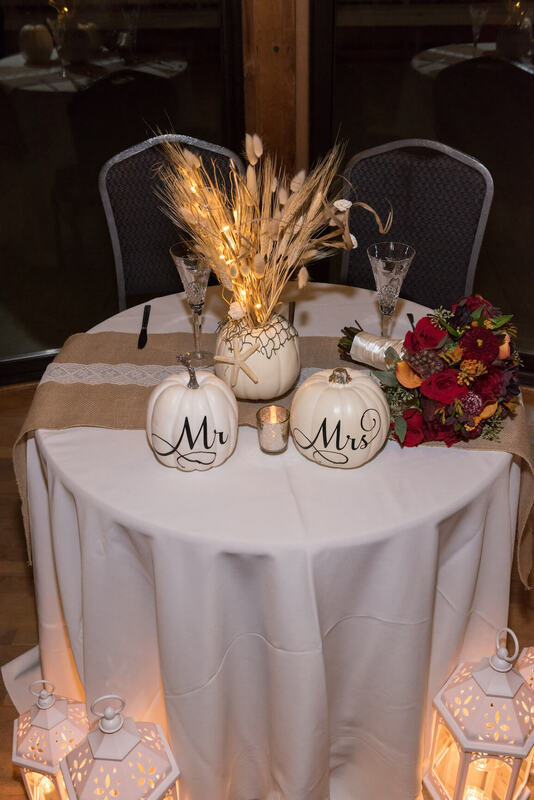 I was especially in love with their theme because October and autumn are my favorite and I LOVE the beach! 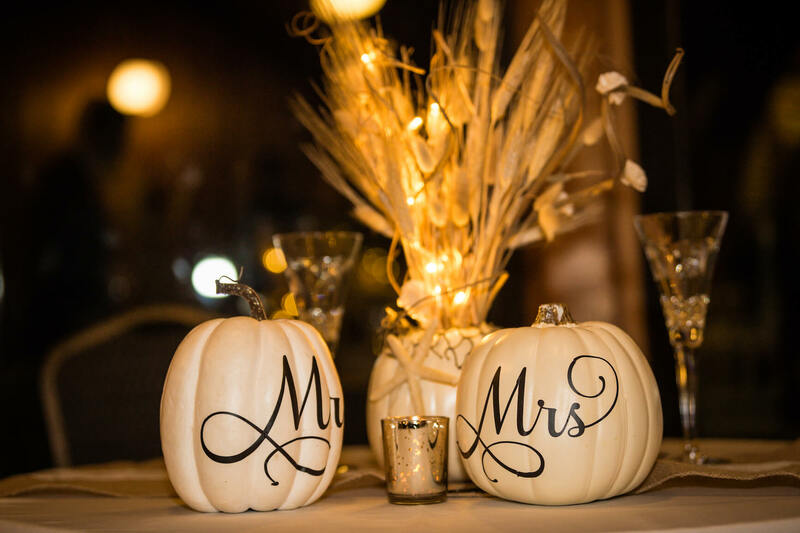 Combine these 2 and you have a unique and fun wedding theme! 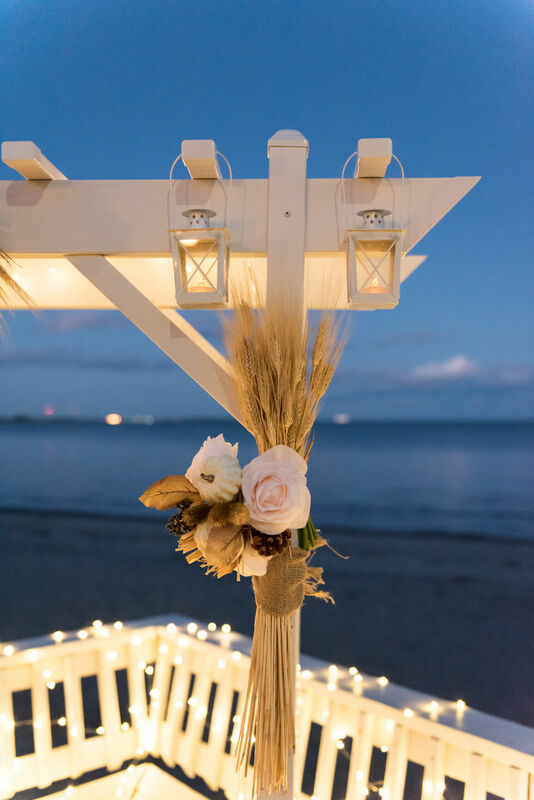 They arrived after their first look photos just in time to catch the sky looking like this! It was the perfect photo opp! 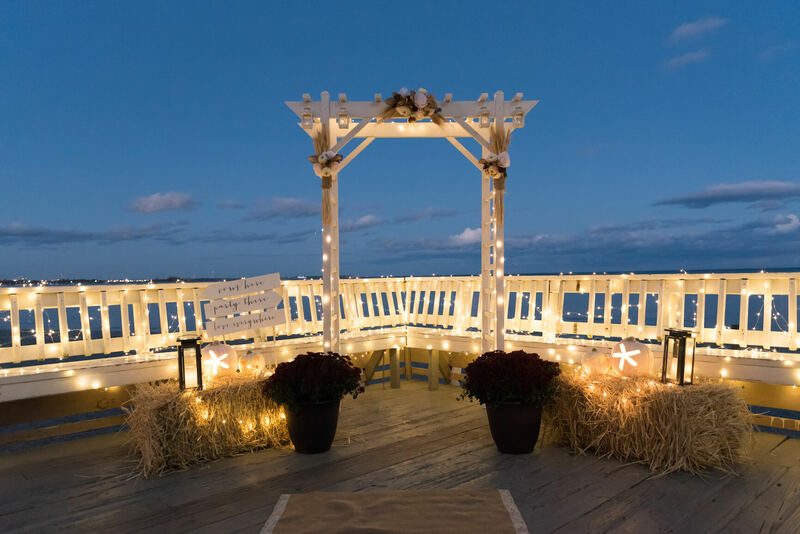 Since the ceremony wasn’t scheduled to start until 7:00 PM, we had to make sure the deck overlooking the beach was aptly lit. 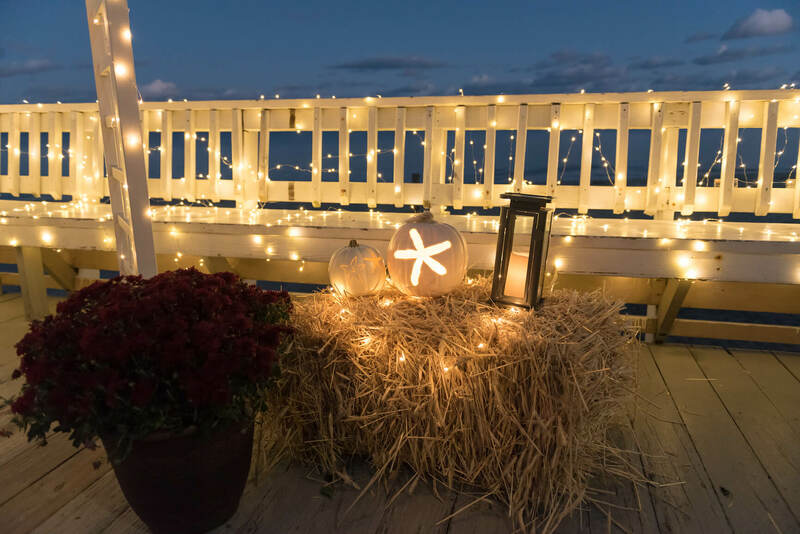 These twinkle lights were perfect to wrap around the deck, and the pumpkins that Suzette made had electric candles in them. It seemed to do the trick for the short ceremony. 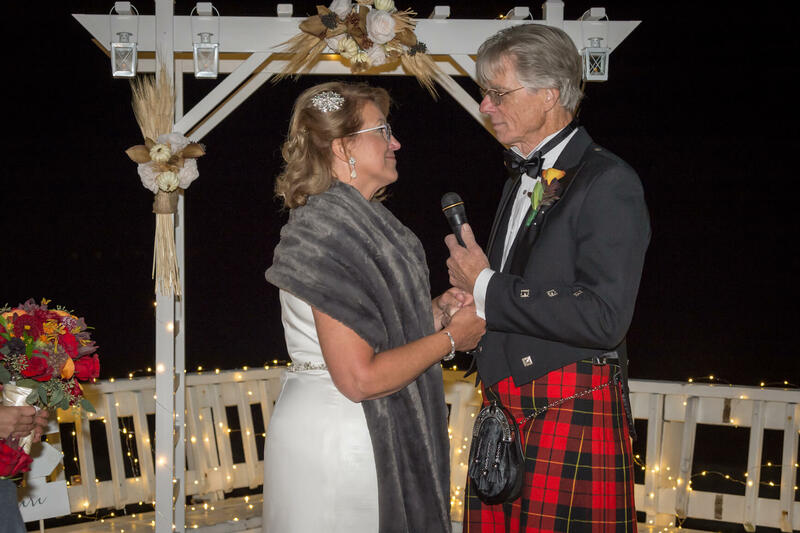 Their heartfelt vows to each other were swoon-worthy! Truly, their love was felt all around. 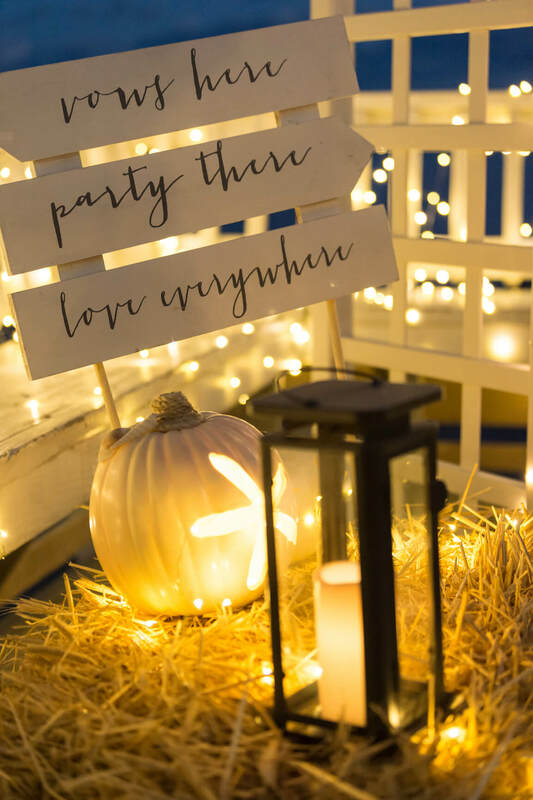 The party continued inside where DJ Mike from Music in Motion packed the dance floor and Seasonal Catering served up a delicious spread! 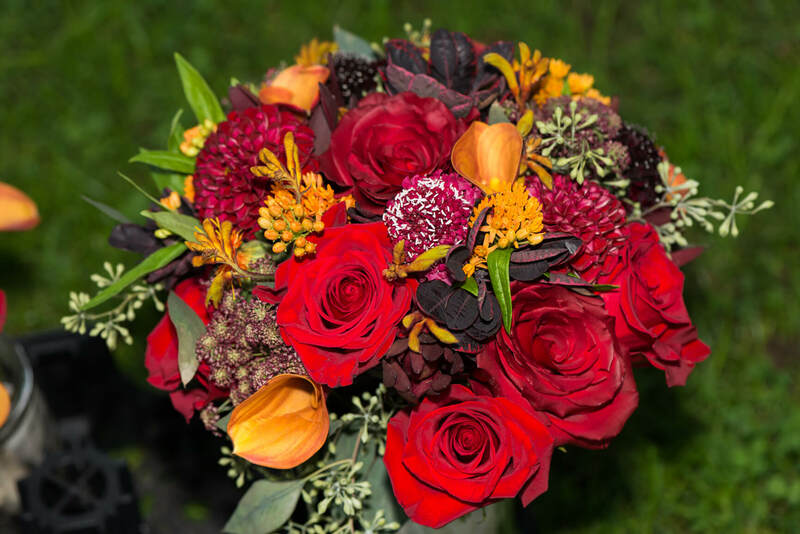 Congratulations to Tom & Suzette! 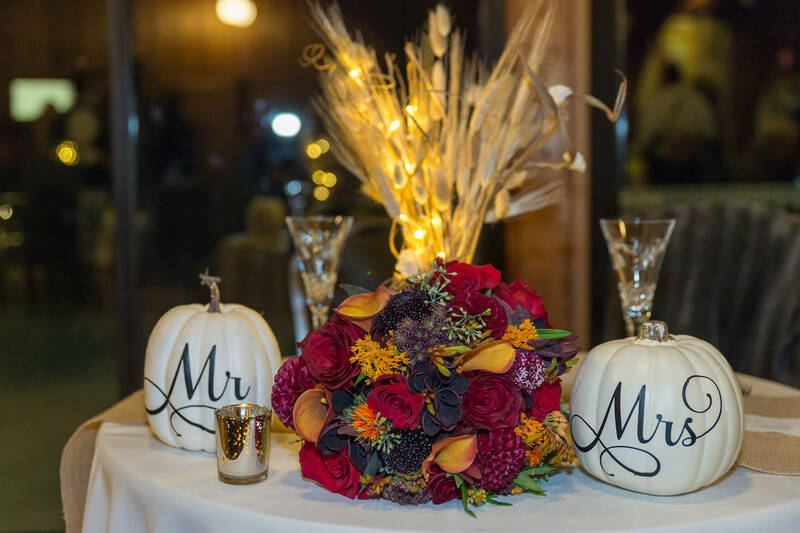 May you share a lifetime of happiness together!